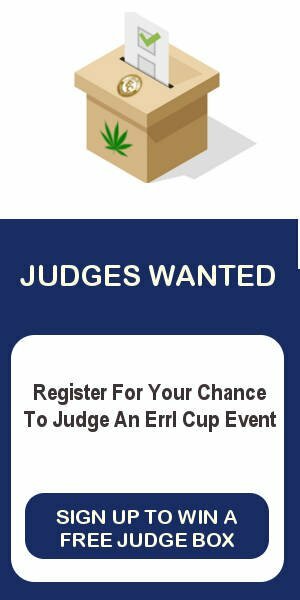 Here at Errl Cup Events, producer of Cannabis Awards and Events, is concerned about your safety and the laws in Arizona. Here is a breakdown of the Arizona Cannabis Laws. With the passing of Prop 203, medical Cannabis patients in Arizona can legally possess two and a half ounces (70 grams) of Cannabis or THC, Bi-monthly. If you are a medical Cannabis patient, you can now legally possess 2.5 ounce of Cannabis in Arizona. This is great news because in addition to flower (bud), you can also enjoy many types of concentrates, edibles, topicals, etc. Cannabis seeds can also be sold in Arizona. 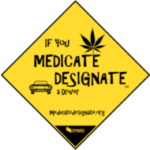 As long as you have a debilitating illness, you have a constitutional right to possess and consume Cannabis in Arizona. You will need a Doctor’s recommendation and Arizona government-issued identification to obtain a Medical Cannabis License. So a driver’s license or passport would be sufficient however most doctors won’t write a recommendation. 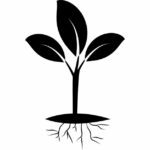 You will need to see a specialist or a naturopathic doctor. Arizona residents could purchase up to 70 grams of flower, concentrated or infused cannabis every two and a half weeks. Each purchase allotment is released around every 17 days. Currently, the state allows Cannabis stores to operate from 7am until 10pm. Having said this, cities are allowed to establish their own rules within the allocated time frame. So you made it to Arizona and bought yourself a big bag of green. Great job! Now the fun part, consumption. Cannabis can only be consumed on private property and out of the view of public. You cannot consume in public, your car, any parks or area visual to passersby. A current DUI law debate is in effect in Arizona which treats metabolites as under the influence. The bottom line is be smart and don’t drive under the influence. If your car doesn’t smell like you ran over a pack of skunks and your eyes aren’t bloodshot, it is unlikely that you will be singled out. If the police do suspect you are driving stoned, they can require you take a blood test. Refusal to do so can result in similar penalties as refusing a breathalyzer test, such as loss of license. The possibility of being involved in a serious car accident, even through no fault of your own, always exists, so it’s best to sleep off the high. The law does allow for a defendant charged with driving under the influence of Cannabis to introduce evidence that pot did not impair their ability to drive. This is a last ditch strategy, the best advice is to simply drive sober. The “open container” law in Arizona makes it illegal to possess Cannabis in the passenger area of a vehicle if it is in an open container, a container with broken seals, or if there is evidence of consumption. But what constitutes as an open container of Cannabis in a motor vehicle? If your buds are in a plastic bag, is that considered open container. You want your cannabis out of reach of the driver (preferably the trunk) and if possible stapled shut in a brown bag. Simply put, don’t do it. The Feds are watching Arizona closely and although it is tempting to bring some of our finest product back to your home state, doing so has the potential to give the DEA and Feds even more reason to crack down. In the states bordering Arizona, the police are extremely angry that we have such relaxed Cannabis laws and as a result, they are profiling people and performing questionable (and sometimes illegal) searches of vehicles. Mailing Cannabis home is also a bad idea. U.S. Postal Service inspectors seized in 2014, 320 packages of Cannabis. Be smart or you and the receiver could face major fines and jail time. Please be aware that your right to possess Cannabis in Arizona does not apply when you are visiting national parks, national forests, monuments, or other federal properties such as courthouses. Also be aware that many ski areas are located on federal land (mainly just the actual ski runs, not the towns or base of the mountain). Although many of the federal park rangers are nice, we’ve met plenty that would like nothing more than to ruin your vacation. Possession of Cannabis on federal land is punishable by up to a year in jail and a fine of $1,000 on the first offense, along with a 15-day mandatory sentence that can be extended to two years in prison for a second offense. After that, perpetrators can receive a 90-day to three-year prison term, and a $5,000 fine. The law allows patients that live more than 25 miles away from a dispensary (bird’s eye view or straight line) to cultivate up to 12 plants in an enclosed, locked space. However the law does not clarify that the patient is able to safely keep all its grown cannabis. It seems to indicate the patient must stay below the 2.5 oz limit. The law also allows for caregivers to grow for up to 5 patients for a total of 60 plants in an enclosed facility. A caregiver may grow anywhere in Arizona, only the patient must live 25 miles away from a dispensary. You can read the full text in Proposition 203.